Any possessions made of metal are susceptible to corrosion and rust damage. To give your belongings the longest lifespan possible, taking protective measures is a necessity. Zerust’s Rust Prevention Products are, by far, the best solution for all rust and corrosion issues. Whether it’s your tools, tackle, jewelry, or even your bike, Zerust can easily protect any metal possessions from rust. Zerust products utilize state-of-the-art rust prevention technology. This technology is among the best in the industry with the capability to protect a myriad of metal items. Once Zerust works its magic, you can rest easy knowing your possessions are completely protected from corrosion. In addition to functionality, the designers of Zerust products take safety very seriously. 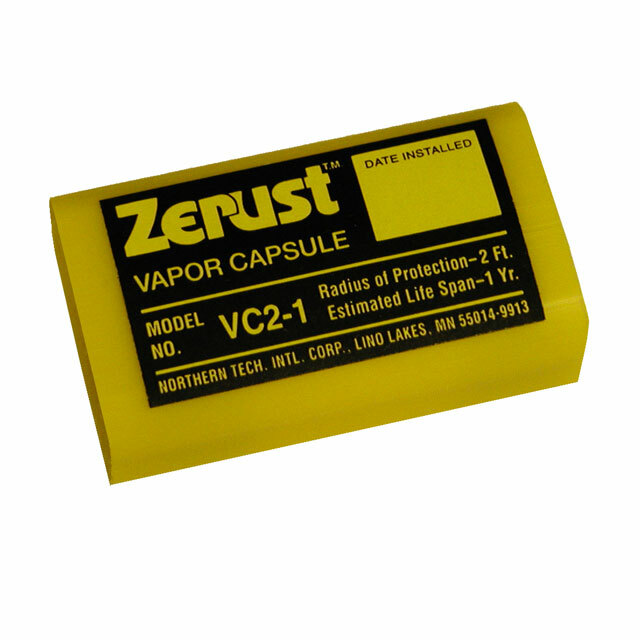 The vapor produced by each Zerust product is not only rust-preventative, but it is also completely odorless, invisible, and non-toxic. Furthermore, Zerust products do not leave any residue on your belongings or in your storage space. It will properly protect all of your metal possessions without having any adverse effects on them. In addition, the FDA has also authorized Zerust products as safe for use with kitchen utensils. Zerust is convenient, safe, and incredibly versatile. The protection process of Zerust products is simple and easy. All Zerust products produce an odorless, invisible, rust-preventative vapor. This vapor coats your belongings in a protective shield, removing the risk of rust and corrosion. Rust-resistant molecules cling to the surface of your belongings, which will eventually form a layer protection only a few molecules thick. Once this protective layer has settled, it will eliminate any and all reactions that cause rust and corrosion, which would be damaging your possessions otherwise. Furthermore, the mechanical and electrical properties of your belongings will not be affected by Zerust products. All metal items will maintain the same functionality. Zerust exists only to protect, and will not negatively impact your possessions. Zerust’s rust prevention products are the best solution for anyone struggling with rust and corrosion damage. With these products, your tools, tackle, jewelry, bicycles, and even car parts can stay in pristine condition. Zerust protects all your metal items by eliminating all reactions related to rust and corrosion; therefore, you can rest easy after applying any of Zerust’s products. The dangers of rust become a thing of the past. A perfect example of Zerust products’ efficiency and versatile functionality is the tool box drawer liner, which is just one of many products that can provide long-term rust protection. PVC rubber and Zerust work in tandem to protect any tools, tackle, or other metal items you own. The tool box liner also fits well in storage boxes, on shelves, and in many other locations. Furthermore, it can be cut to any desired size, allowing it to fit in any area you need to protect, and it is easy to clean and fire retardant. Zerust products are not only safe and functional; they are also capable of saving customers money in the long term. Zerust products are both affordable and have substantial longevity. Each product contains durable materials to significantly increase their lifespan. The lifespan for each product is about five years; however, they can be re-purposed in multiple applications during this time. With a combination of modest prices and easy application, both homeowners and industry experts have much to gain from Zerust’s products. If you find yourself struggling with rust far too often, look into Zerust’s rust prevention products. They will make your rust problems a thing of the past.